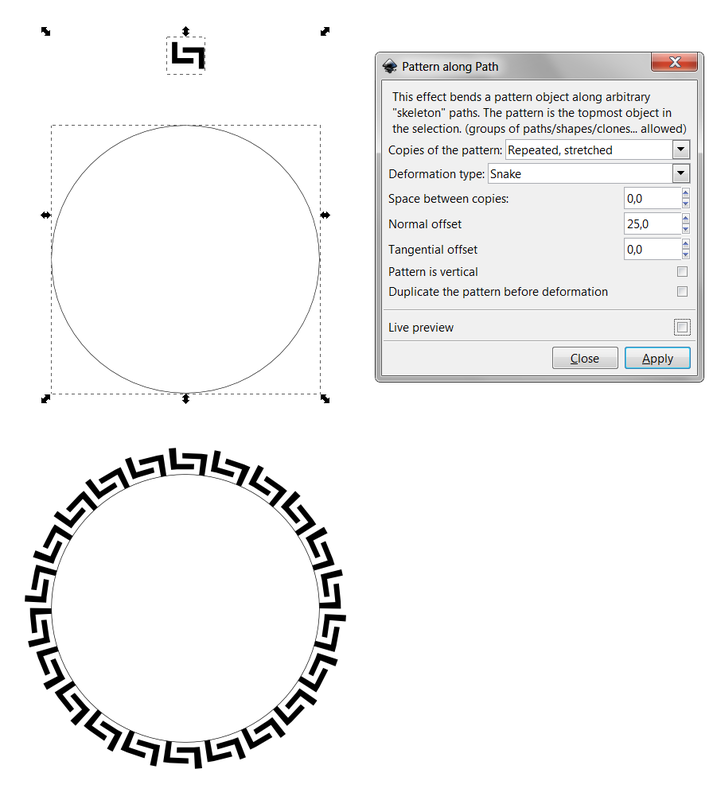 How to make a circle meander? 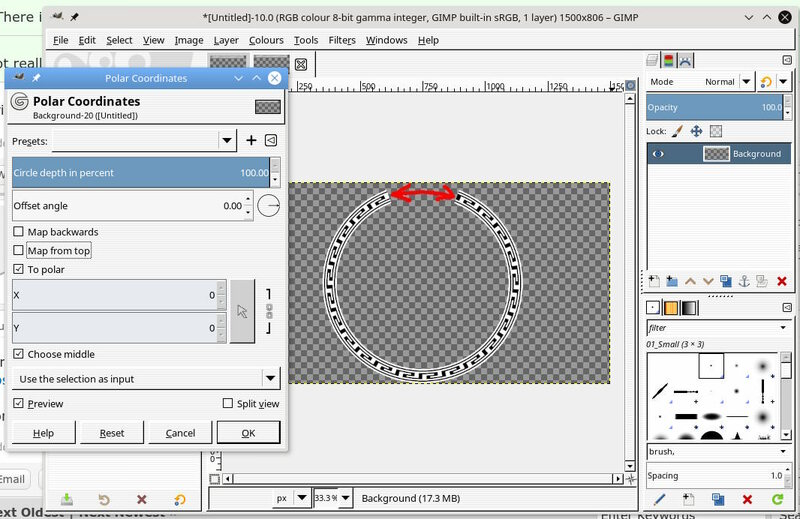 I don't know how to make the straight one into a circular one using Gimp. 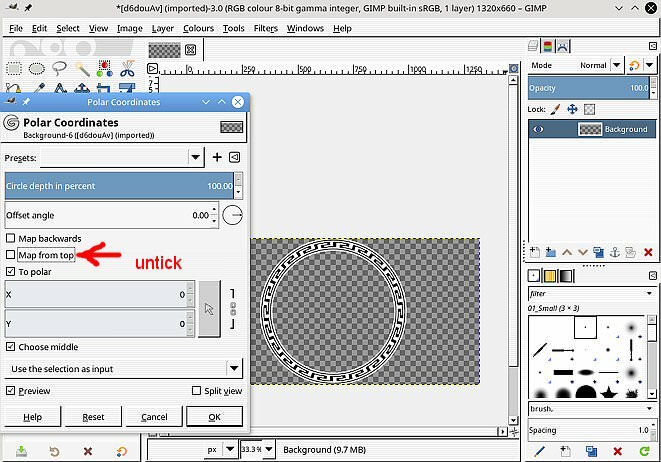 But I woudn't use Gimp for those, I would use Inkscape. The straight one can be made easily in either Gimp or Inkscape. 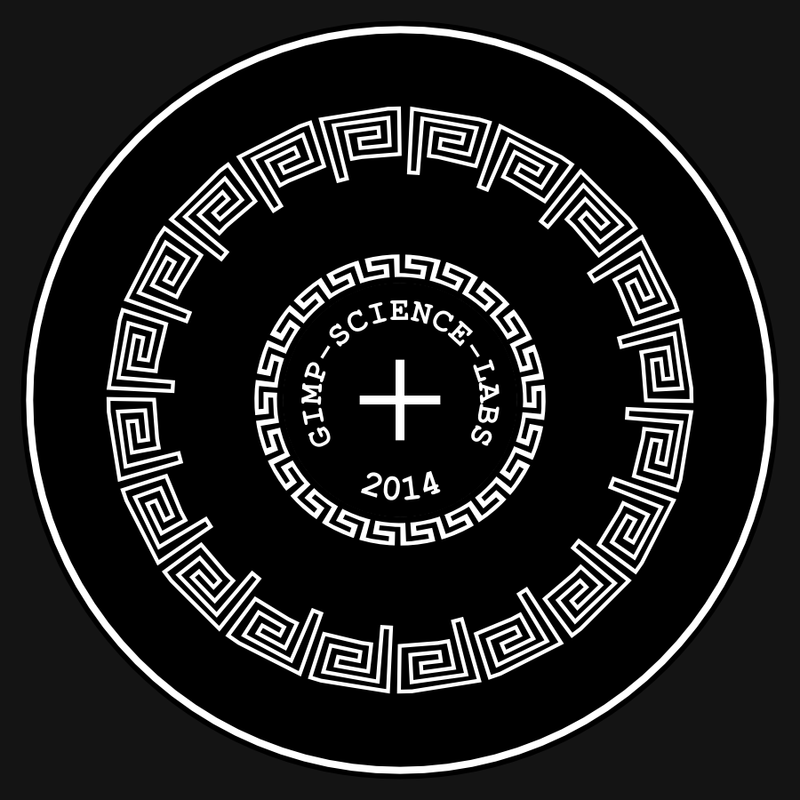 For the circular one, I would start from scratch in Inkscape (ie not starting with straight one). 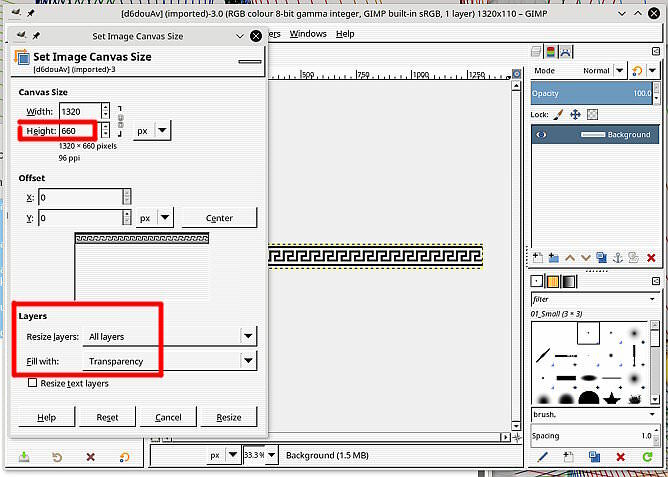 Then use Inkscapes's tiled clones. First Gimp can do this relatively easily, but..always a but.. there will be distortion and a better way might be to re-build the design from scratch. 1. Increase the Canvas height to maybe half the width Image -> Canvas Size You can experiment with this the greater the height the more the design is stretched to fit. So likely doable with ofn-path-to-shape and ofn-path-waves. 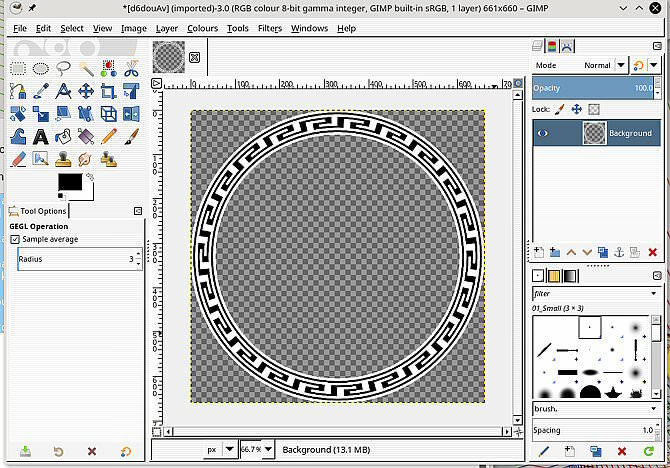 (06-23-2018, 08:42 AM)rich2005 Wrote: First Gimp can do this relatively easily, but..always a but.. there will be distortion and a better way might be to re-build the design from scratch. Alternatively possible with G'MIC - Deformations - Sphere (has a few more options). For the best quality, Inkscape is the better tool for the job. EDIT: 4 years later, i would probably use the 'Pattern along Path' LPE instead, because here its a good thing the pattern gets distorted. Not really. See the rules. I don't see any negative points and several positive ones. I don't know about inkscape but i'll keep Meander-PaP.svg so thank you. With due respect, did you you follow exactly? My guess is your pattern is not the same as the image you referenced. It has space either side. but then Meander-MAP.svg is a vector image produced by applications such as Inkscape. 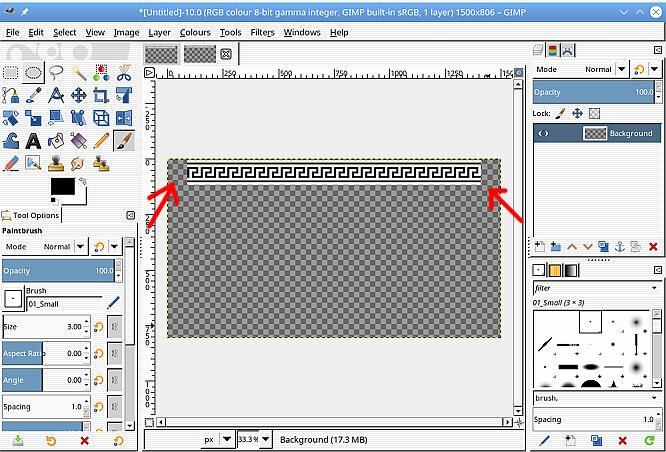 You can import that into Gimp 2 ways, The usual open as an image where you are given choices for size & resolution but then it is a raster (bitmap) image, not exactly set in stone but not scalable without distortion. With rich's Polar Transform method i get much better results when i upscale the image height by a factor of two before the transform. Then add a bit of sharpening and it comes out quite nice. Probably a special case because of the b/w and the blocky design.